Leading Exporter of solid waste disposal plant from Vadodara. To meet the demands of the Solid Waste Disposal Plant we have engineered a symbiotic mixture of microbes and herbs that are able to convert any organic biomass into good quality compost. 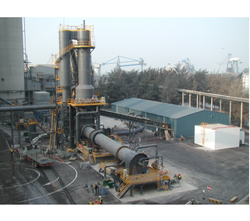 Looking for Waste Rotary Incinerators ?